The day starts off with rain and the simultaneous need to do laundry. I walk to a laundromat south of town. These spaces are underrated in their triptych proposition of reading, watching and pondering. 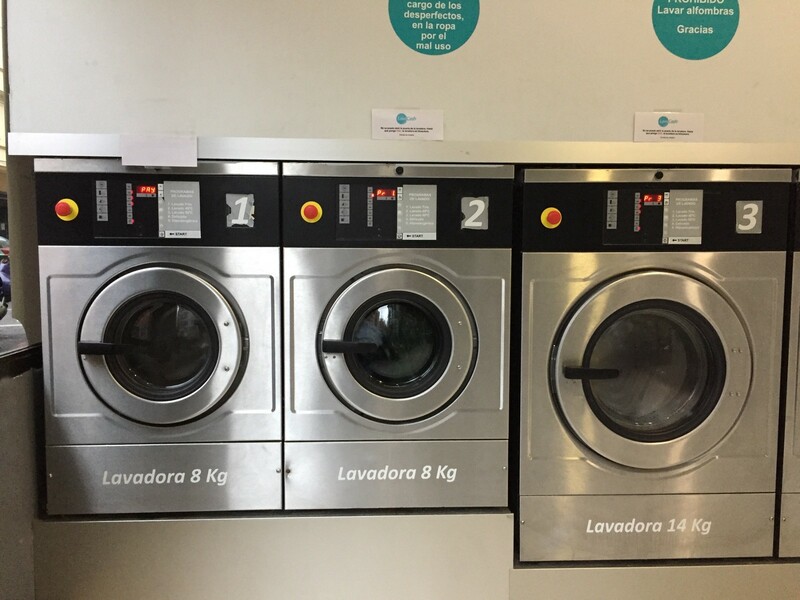 You read your book, and look up periodically to see clothes spin in alternating revolutions, people pass through intersections and take pleasure in a sitting through a cycle of wash and dry with meditative patience. 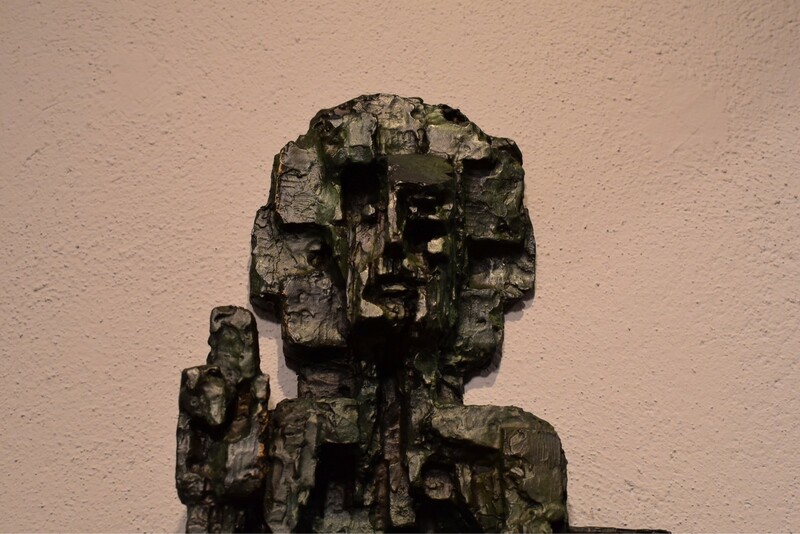 After domestic backpacking duties are fulfilled, I walk to the Museo de Arte Sacro in Atxuri. 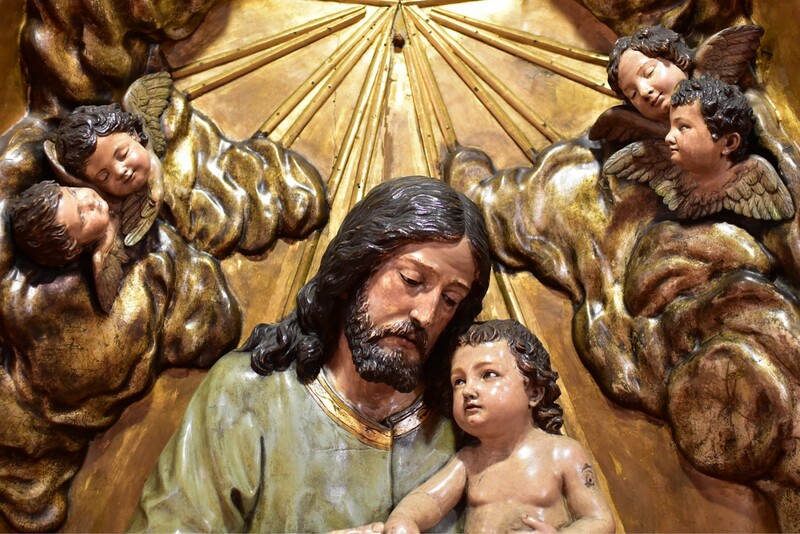 A lovely cloister and many religious statues of Christ inside a gallery await inside. There is something quite delightful in taking in artefacts born and sculpted of uniform devotion. 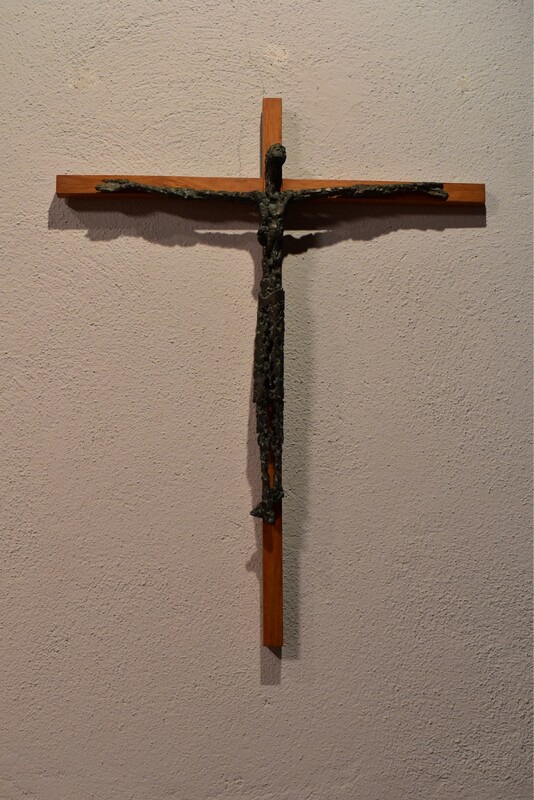 The various aesthetic representations of the crucifixion alongside patron saints and holy figures evokes a sense of narrative where religion and art truly intersect. Classical and contemporary converse with each other with mutual respect. 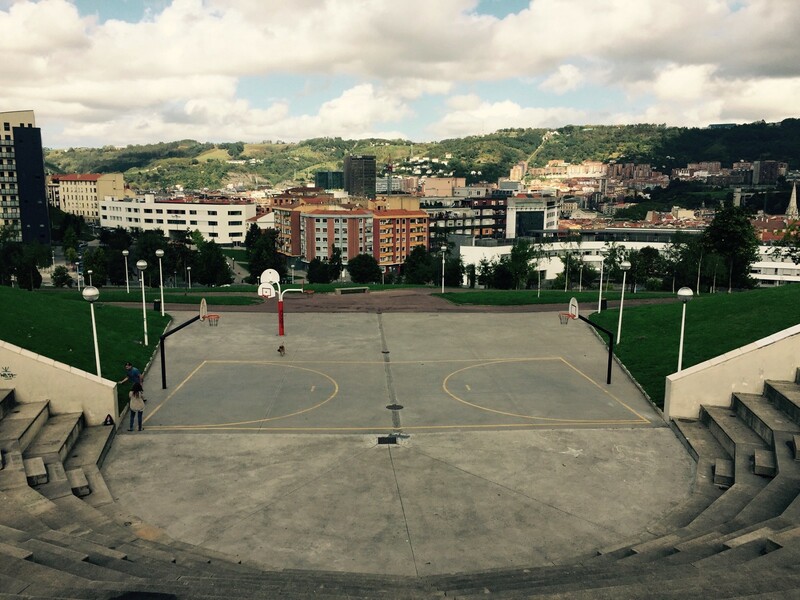 Sated by this museum visit, a walk south descends and then ascends again as the altitude of Bilbao’s hills change. Much meandering brings a quiet peace in experiencing the different neighbourhoods, passing by the seemingly ordinary which seem contextually extraordinary. 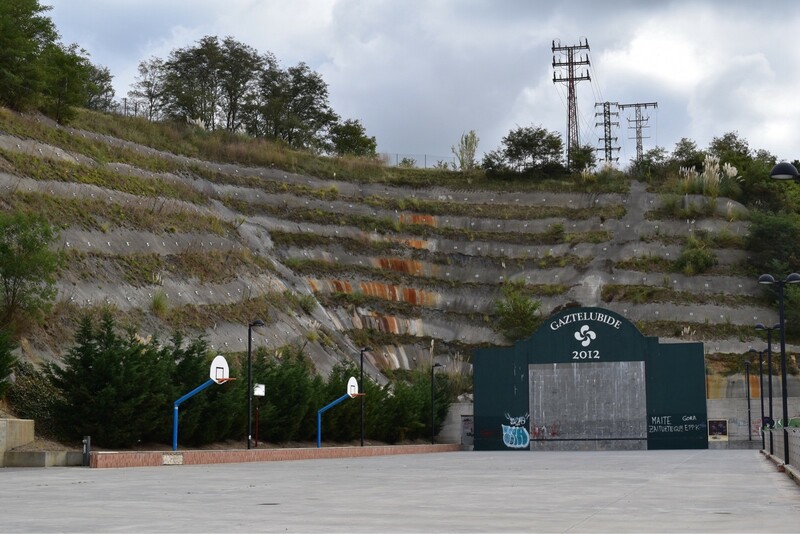 Basketball courts lie at the bottom of large amphitheatre stairs, or seemingly carved into a mountain as if it were a quarry. In these situational backdrops, the man made is always made exponentially magnificent. 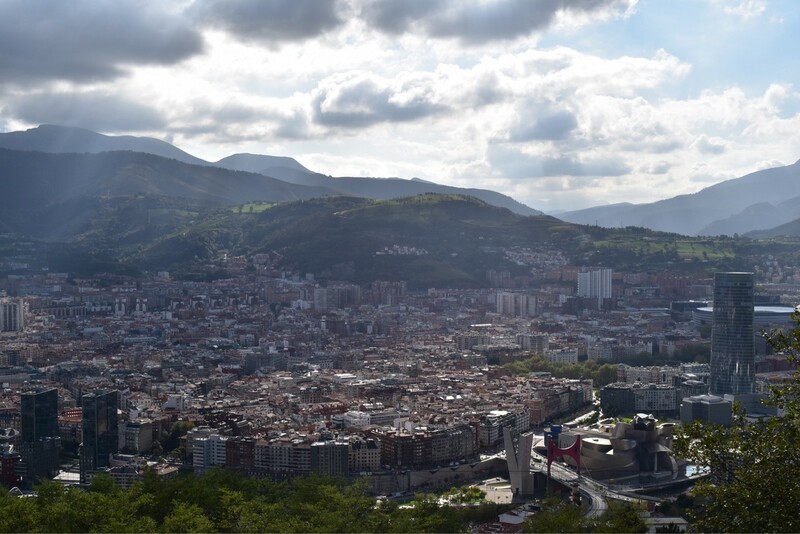 A cable car to Mountain Artxanda shows Bilbao from up high, an orange-roofed terracotta city in a valley. 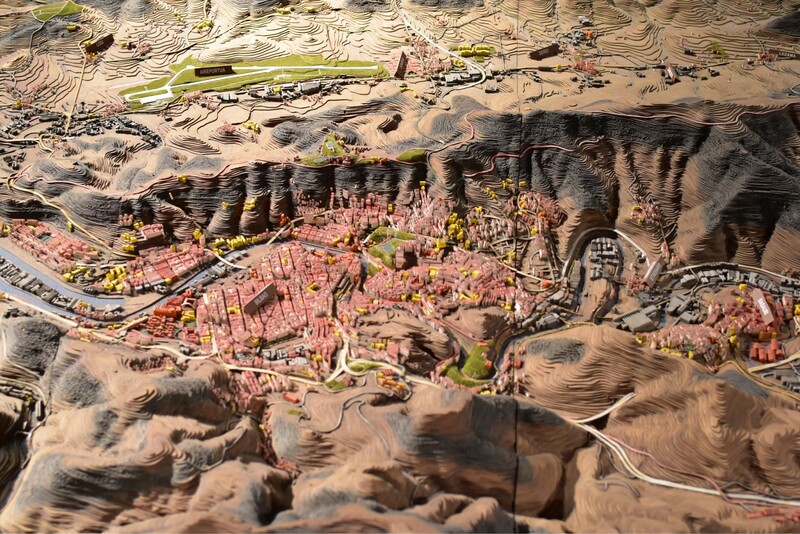 The Museo d Bilbao even shows the geology of the city in wonderful laser-cut accuracy. 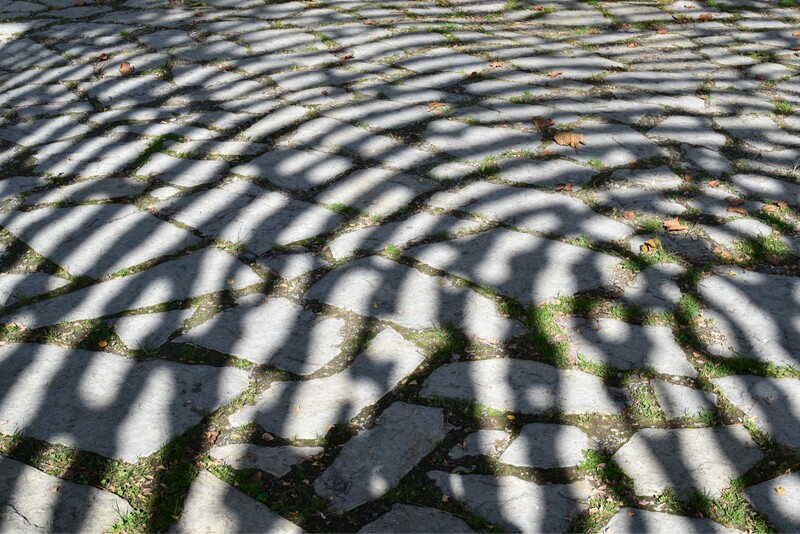 Art is everywhere in Bilbao; imprinted as a new fabric thumbprint on this city’s identity. Environmental footprint is a lovely, conscientious term used in many situations, but as architect, Michael Murphy from MASS says in his TED talk, Architecture that’s built to heal; the human handprint is just as important. 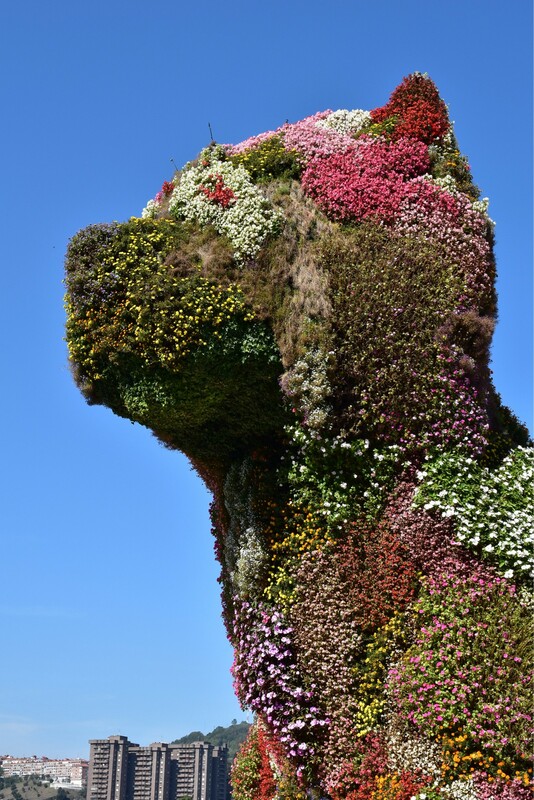 And in this fact, lies the revelation that Bilbao’s DNA, elevated through its artistic genetics, has evolved into a very special city.